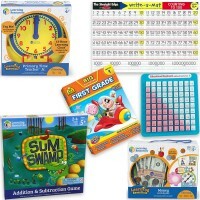 This Primary Time Teacher Junior 12-hour Learning Clock is a perfect interactive tool to help kids to read the clock, understand concept of time, and master early math! 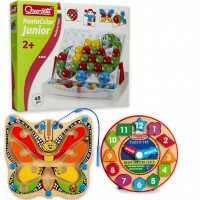 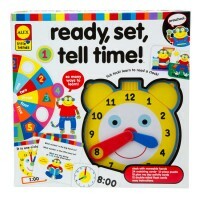 Learn all about telling time with our kids friendly Primary Time Teacher Junior Learning Clock by Learning Resources. 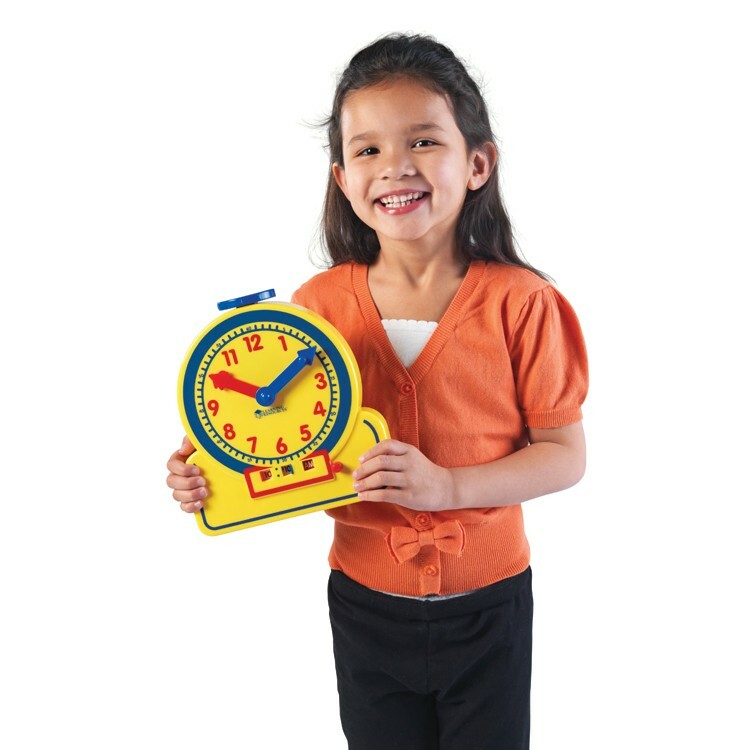 This time teaching clock brings variety of interactive learning activities to help kids reading the clock, and learning both methods of time telling. 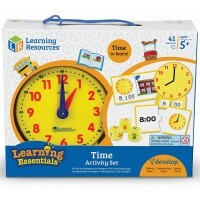 This learning clock features a giant face with 12 hours and minutes sections. 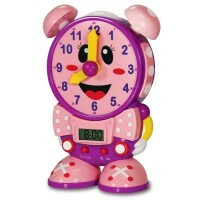 Both the digital and the face clock is color coded to make time learning easier for the young kids. 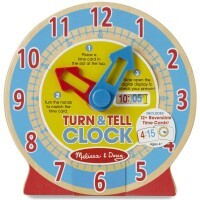 Hour hand, clock numbers, and digital numbers are red. 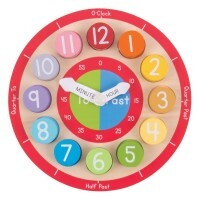 The minute showing clock hand, numbers, and digital numbers. 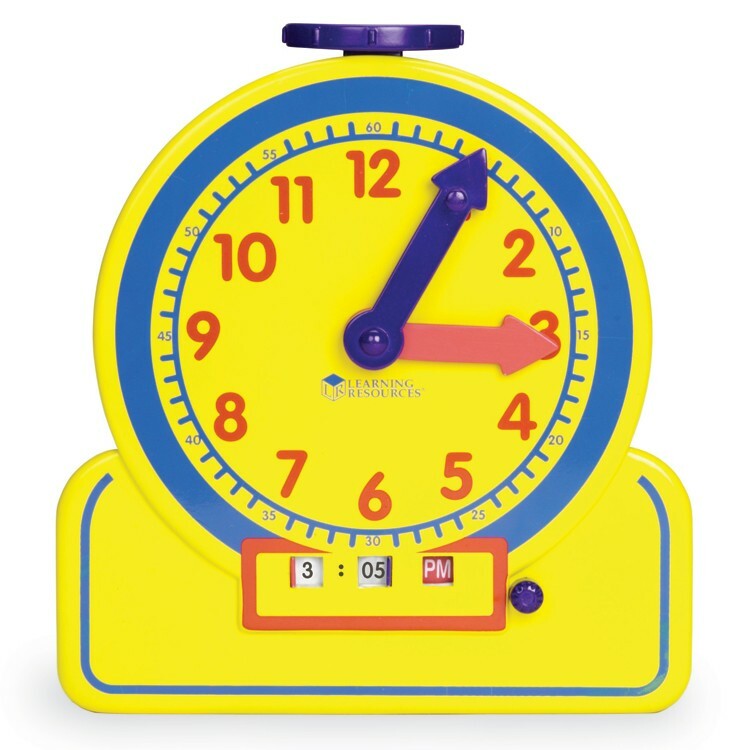 Move the clock minute hand and notice the changes in the digital display window. 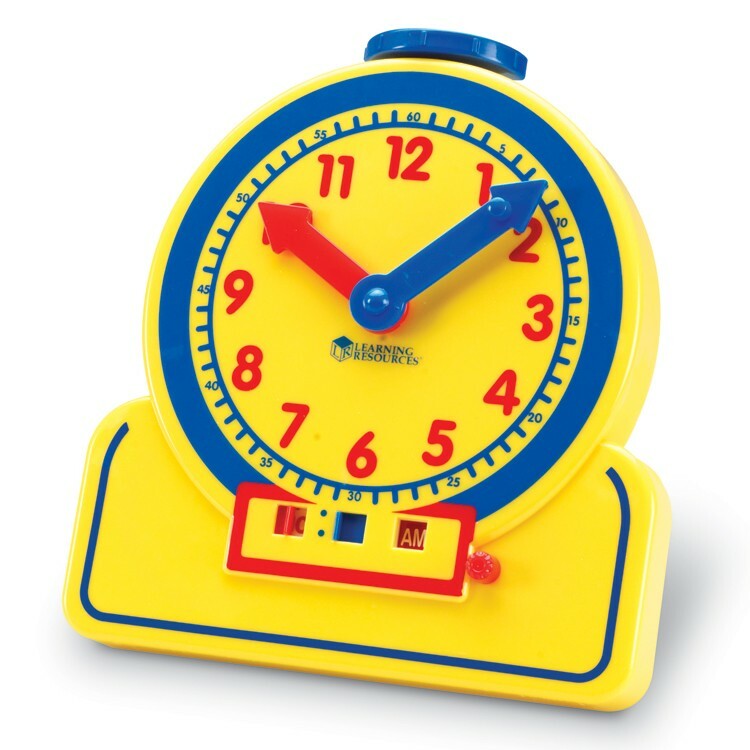 Close the window the handle and quiz yourself what time is on the clock. 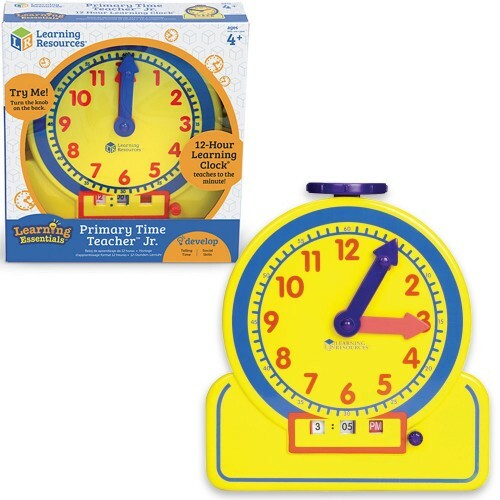 The Primary Time Teacher Junior Learning Clock from Educational Toys Planet measures 9 x 8.25 inches. 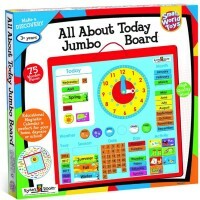 Let's have some fun time learning time with this perfect educational tool! Dimensions of package 9" x 10" x 3"
Write your own review of Primary Time Teacher Junior Learning Clock. 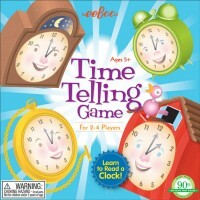 Rating: 5 by Dasha, NJ I wanted to teach my child how to learn about time, so I heard some good reviews about 'Telly The Teaching Time Clock' which not only teaches time, but plays games and makes learning time fun. 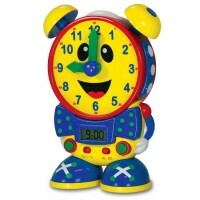 Now, he can't wait to wake up in the morning, get out of bed and tell me what time it is- even if it is 7am.